Best known today as the home of the Festival of Speed and Goodwood Revival, Goodwood Motor Circuit is the only classic race track in its original form anywhere in the world. The Ultimate Driving Experience gives customers the chance to experience it for themselves, and follow in the tracks of motor-racing legends including Sir Stirling Moss, Sir Jackie Stewart, Graham Hill, John Surtees and Jim Clark. 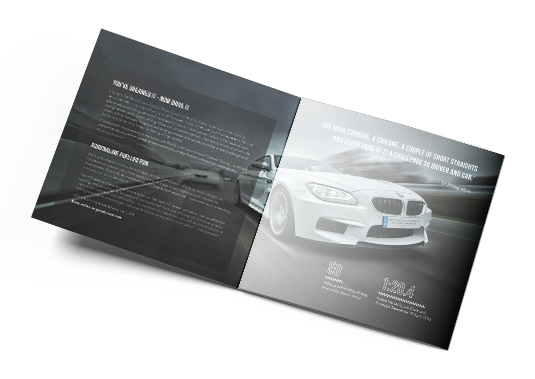 drive every current BMW M-Series model accompanied by a professional instructor. Our imagery and design carefully balanced the track’s unique heritage with the cars’ contemporary technology, to create a sense of excitement, drama and being ‘part of the legend’. 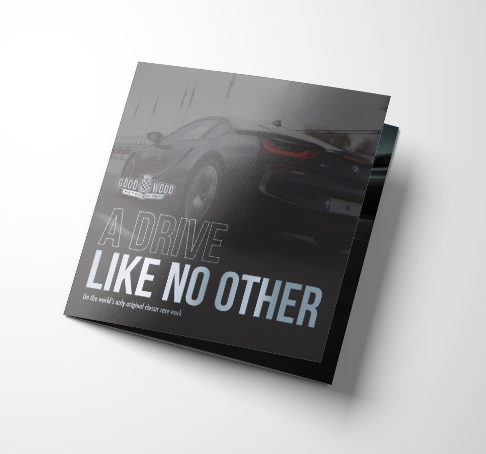 On each spread, we included an extract from a corner-by-corner description of driving the circuit written by Sir Stirling Moss, giving insights and taking prospective clients more deeply into the brand story.